Porcupine meatballs are a favorite easy dinner idea here. The kids love them and so do the adults so it is the perfect family dinner. They also taste great reheated and freeze well. 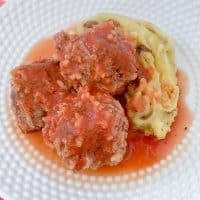 If you are looking for a super delicious, kid-friendly recipe then Porcupine Meatballs are for you! My kids gobble these up and they are a favorite of mine too. 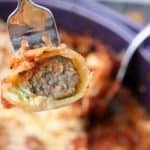 When I need a dinner recipe I know my kids will eat I reach for this porcupine meatballs recipe, this air fryer gluten-free chicken strips recipe or this sheet pan dinner recipe. You need basic pantry ingredients so it is a great recipe to make when you don’t know what to do for dinner. They are gluten-free and use clean ingredients so you can eat these without any guilt! 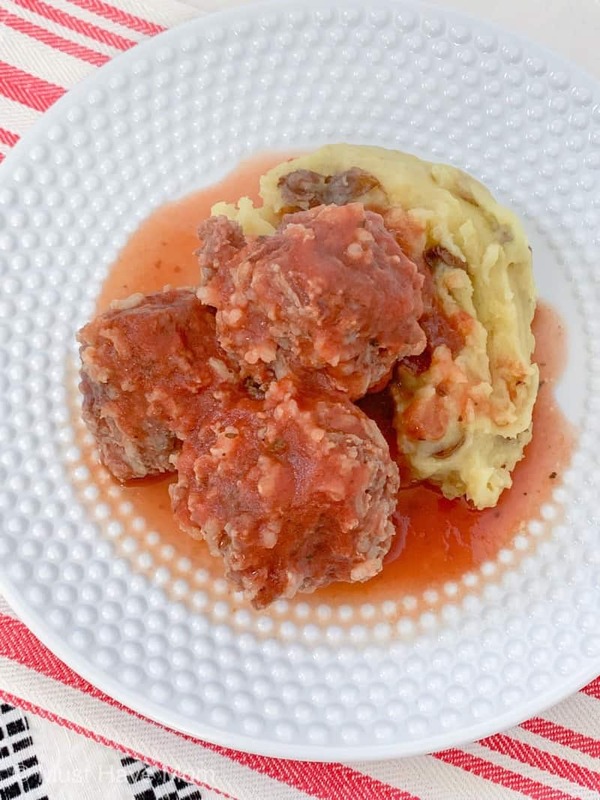 There are several ways to cook porcupine meatballs including the oven, stove top, slow cooker or Instant Pot. No matter how you cook them, the ingredients are the same. Let’s make the meatballs and I’ll show you all the different ways to make them below! 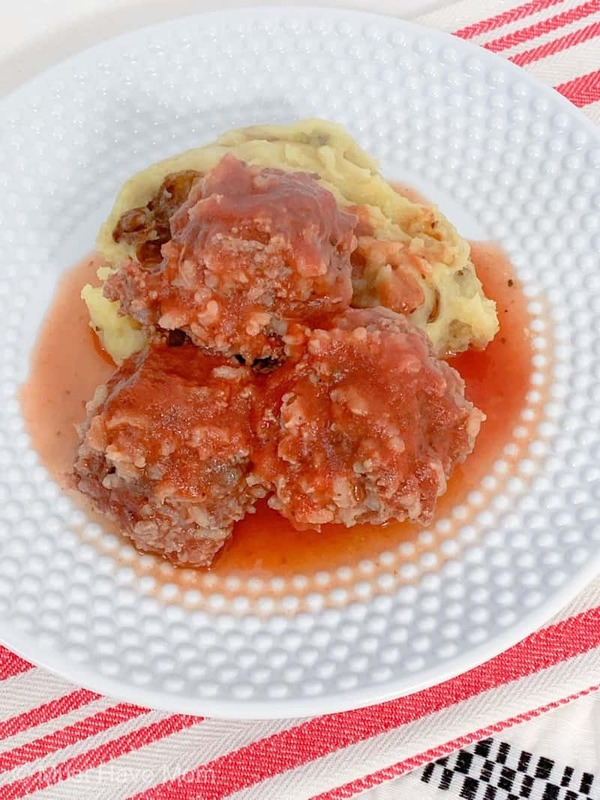 This recipe makes 36 meatballs which are enough to make one meal and freeze one meal. It’s also a great meal to make one for you and one to give to a new mom or someone who isn’t feeling well. Mix ground beef, rice, water and spices in a large bowl until well-combined. In a separate, medium-size bowl, mix together tomato sauce, water and Worcestershire sauce. Then, use a cookie scoop to shape meat mixture into balls and place in casserole dish. This recipe makes 36 meatballs and will fit in a single layer in two separate 9×13″ pans. *Tip: If you are bringing this recipe as a meal for someone else (new mom, sick friend, etc) then use a disposable foil pan so they don’t have to do dishes! The foil pans also work great for freezing the meatballs. Pour tomato sauce mixture over meatballs, cover tightly with a lid or foil. 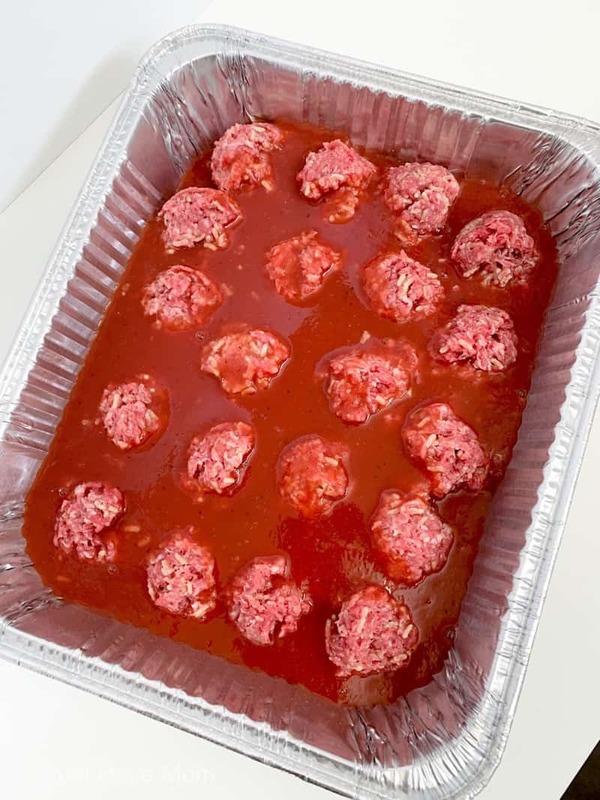 Bake at 350 degrees F for 45 minutes, then uncover and bake an additional 15 minutes or until meatballs are no longer pink inside and rice is soft. Reference the various cooking methods below for alternate ways to cook these! Follow the above directions for forming the meatballs. Place meatballs in slow cooker and pour tomato sauce mixture over the top. Cook on low for 8 hours or until meatballs are no longer pink and rice is soft. Follow the above directions for forming the meatballs. Place meatballs in the Instant Pot and pour the sauce over the top. Place the lid on the Instant Pot and put it to “sealing”. Cook on “Manual” for 25 minutes. When the time ends, let it naturally release for 15 minutes and then manually release. We serve our porcupine meatballs with mashed potatoes and corn as they all compliment one another nicely. We like lots of sauce on ours and we eat it all together like a bowl! We have also reheated them served with pasta which is tasty too. 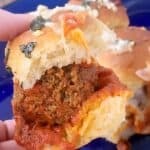 You could even serve them on a toasted bun like a meatball sub. Can You Freeze Porcupine Meatballs? Porcupine meatballs freeze really well. 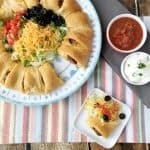 If you plan on making one for dinner and freezing the second for an easy meal later, then this is the ideal recipe for you as it makes enough for two meals! Simply prepare your meatballs as instructed above and pour the sauce over them. You can either freeze them in a foil pan or a gallon zip top bag. When ready to eat simply heat them in the oven at 350 degrees Fahrenheit until warm. This porcupine meatballs recipe is easy, gluten-free and delicious! Kids will love it too! It freezes well and can be cooked a variety of ways. 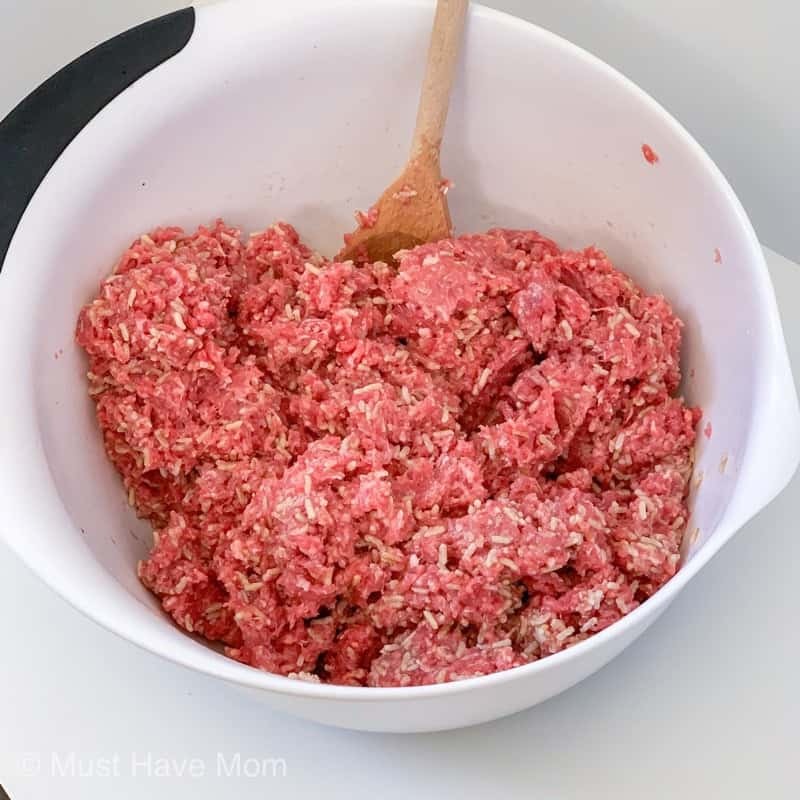 This recipe makes enough meatballs to eat half for dinner and freeze the remainder for an easy meal another day! 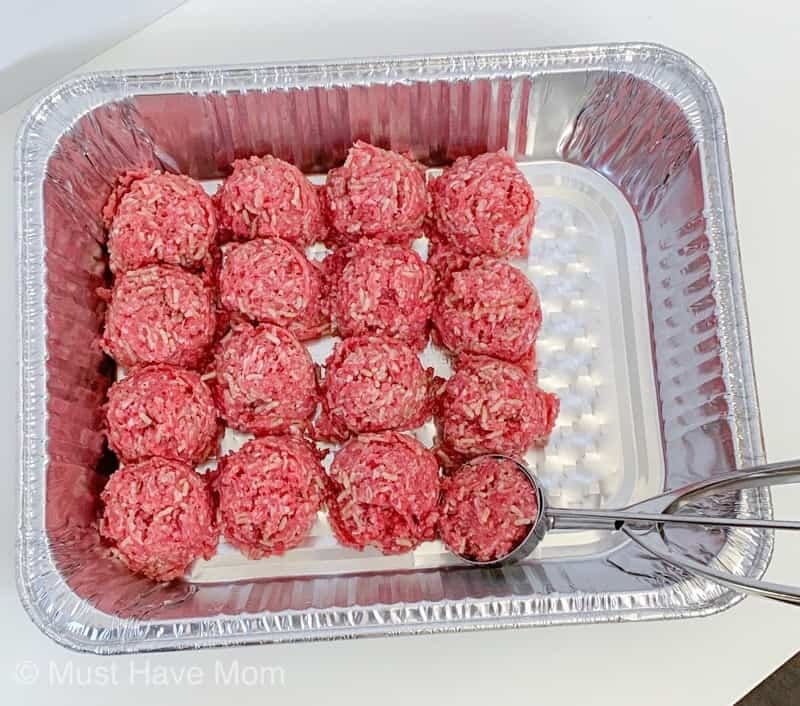 Use a cookie scoop to shape meat mixture into balls and place into a casserole dish if baking in the oven, the slow cooker or Instant Pot. Pour tomato sauce mixture over meatballs, cover tightly with a lid or foil. Bake at 350 degrees F for 45 minutes, then uncover and bake an additional 15 minutes or until meatballs are no longer pink inside and rice is soft. Place meatballs in slow cooker and pour tomato sauce mixture over the top. Cook on low for 8 hours or until meatballs are no longer pink and rice is soft. Place meatballs in the Instant Pot and pour the sauce over the top. Place the lid on the Instant Pot and put it to "sealing". Cook on "Manual" for 25 minutes. When the time ends, let it naturally release for 15 minutes and then manually release. 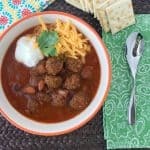 Meatball Chili Recipe For Stove Top OR Slow Cooker! « Affordable Interior Design Online With Modsy! Your recipe calls for 1.5 cups water in the meatball section, yet the directions doesn’t include the water when mixing. Also, what if I was to freeze these meatballs right away before cooking them, what would the cooking time look like? Oops sorry the water should be in the meatball mixture as well. I’ll fix that!! I haven’t frozen them raw before so I would just follow the cooking directions and add time in 15 minute intervals, checking the internal temp, until they are done. Do I need to cook the rice first or just mix the uncooked Minute Rice in with the ground beef? Just mix in the uncooked rice with the ground beef. Don’t cook the rice first. Enjoy!